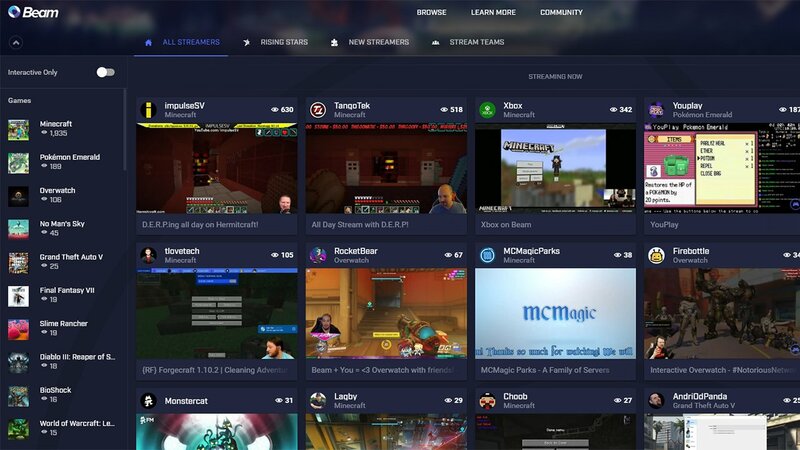 Microsoft just announced they have acquired the streaming service, Beam, a service that allows viewers to interact with streamers as they broadcast. Beam is an interactive live streaming platform that allows viewers the ability to watch and play along with their favourite game streamers in real-time. Beam moves people beyond the passive streaming activity and ensures they are an active participant in what is going on. With a need for Xbox to secure its space in the console market against the onslaught of the PS4, that has at the time of this writing sold over 40 Million units, this out of the box move is important for their survival as a gaming platform. The concept to mix challenges, quests, or just other ways to interact with streamers is a great addition to Xbox Live. With Xbox releasing Sea of Thieves soon and people still playing Minecraft this service should allow a much more interactive way for people to watch streams of their favourite games. Gaming, since it’s inception, has been a social experience, and Beam will allow Microsoft a new way for players to feel that interaction, even if they are across the globe. No word yet on when Beam will be fully integrated into the Xbox platform.